Pioneers in the industry, we offer custom wooden packaging boxes, seaworthy wooden packaging boxes, heavy wooden packaging boxes and wooden packaging boxes from India. 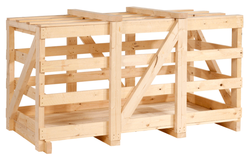 We are one of the leading manufacturers and suppliers of the best quality of Custom Wooden Packaging Boxes. Fabricated in compliance with the packaging industry laid norms, the offered custom wooden packaging boxes are valued for their shock absorbing & tension retaining capacity. For meeting the precise needs of our customers, we offer custom wooden packaging in various sizes. 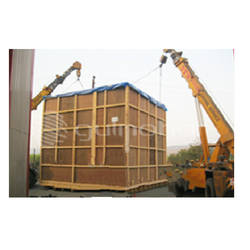 As a noteworthy entity in this domain, we manufacture and supply the premium quality of Heavy Wooden Packaging Boxes. 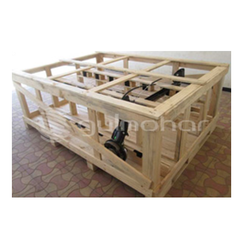 Used in the packaging industry, the offered heavy wooden packaging are precisely designed by using the latest technology. 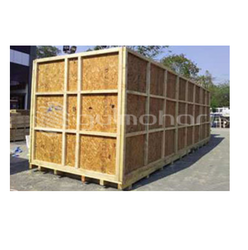 Accurate dimension, durability, resistance against weathering conditions and optimum shock absorbing capacity, makes heavy wooden packaging highly demanded.